Painkiller: Hell & Damnation is a first-person shooter video game, both a remake of and a sequel to Painkiller, developed by The Farm 51 and published by Nordic Games. 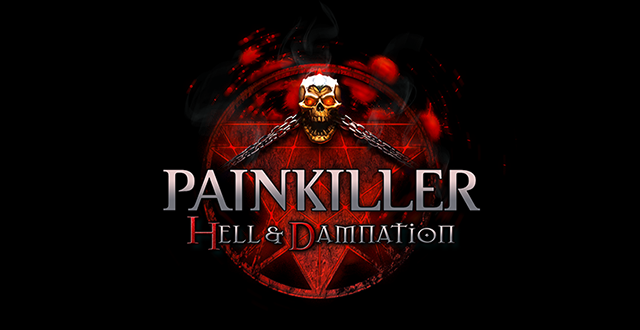 Painkiller: Hell & Damnation was released on October 31, 2012 for Windows and was released for PlayStation 3 and Xbox 360 on July 12, 2013 in Europe and will be released in North America on August 30, 2013 after suffering multiple delays. After crushing the forces of Hell and Purgatory in the original titles, Daniel Garner was denied seeing his wife, Catherine. Now, with no faith left, he sat in the cemetery, where his quest once began. Suddenly, Death itself appeared, proposing Daniel a new bargain: reunion with his wife in exchange for 7,000 souls. Daniel reluctantly agrees, receiving the Soulcatcher gun. He is sent to familiar places, battling hordes of demon spawn, again defeating the formidable Necrogiant, Alastor, and Swamp Thing. An old ally, Eve, reappears during this quest, warning that Death cannot be trusted, but Daniel didn’t forget her own betrayal at the end of Painkiller: Battle out of Hell. Daniel avoids her as she tries to persuade him that everything is not as it seems, and the only reason he’s so successful at killing demons and not succumbing to their power is that he is not really dead. Wikipedia®. Painkiller: Hell & Damnation is a fast-paced, thrilling modern remake of an all-action shooter classic! Along with the extensive improvements to the graphics and the redesign of the single-player campaign, the game mechanics have been refined and lots of innovations have been introduced, including Co-Op and Survival modes, a new Soulcatcher weapon, and redesigned enemies and gameplay balance.